KINGDOM will premieres on RTL CBS Extreme HD on 22 October, Thursday at 10:00 pm (9:00 pm JKT/BKK). 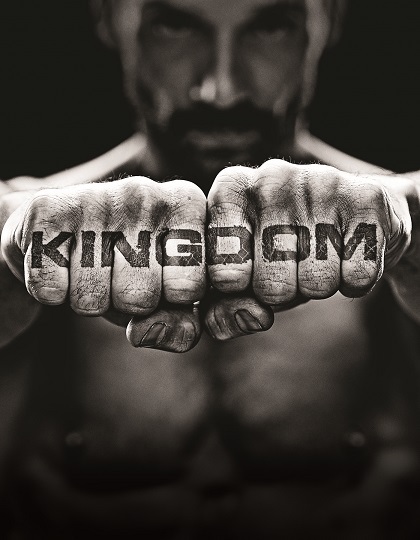 The second season of the mixed martial arts (MMA) action-drama, KINGDOM was set in Venice, California, KINGDOM looks at the MMA world rife with complex characters and relationships that unfurl in surprising and deeply human ways. The show stars Frank Grillo (Zero Dark Thirty, The Grey) as Alvey, Matt Lauria (Friday Night Lights) as Ryan, Jonathan Tucker (The Black Donnellys) as Jay, new cast member Natalie Martinez (Under The Dome) as Alicia; and popular singer-actor Nick Jonas as Nate. In the first season’s finale, we saw Nate struggling with the life he was living; and in his aim to be a bigger fighter, taking human growth hormones. Starfighter, Ryan “The Destroyer,” went back into the cage for the first time in five years and Jay also returns to the ring. KINGDOM‘s sophomore run begins with Ryan “The Destroyer” defending his title and Jay finding a new obsession, while Alvey’s improved fortune has led to a bigger gym, but also a bigger appetite for risk. Nate’s determination to get back in the cage causes rifts with his family and complicates his self-identity. KINGDOM’s season 2 sees the introduction of a promising female fighter, Alicia, who packs a lot of upsides both in and out of the cage. Lured to Los Angeles, she uses her desirability and relentless drive to get whoever and whatever she wants.